Allison Gryski: Spring Cloud Ta-Da! Big "wow-factor"! 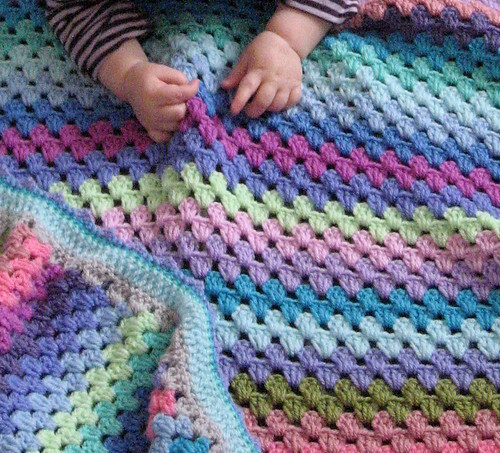 This is a gorgeous blanket and the edging is exquisite. 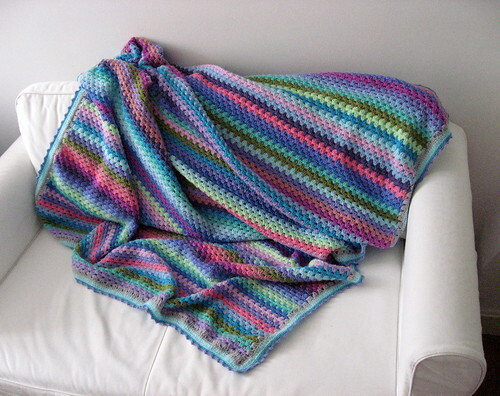 I'd just never finish something like that even if I knew how to crochet. *envious and admiring*. what is a double crochet cluster? Your work is stunning...the colors, the edging so beautiful! 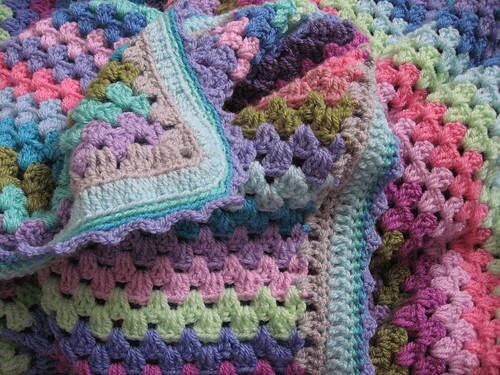 Just having a leisurely Sunday afternoon blog-hop and came across a picture of your blanket. It's gorgeous! You did a great job!!! I especially like the edging it's beautiful!! !